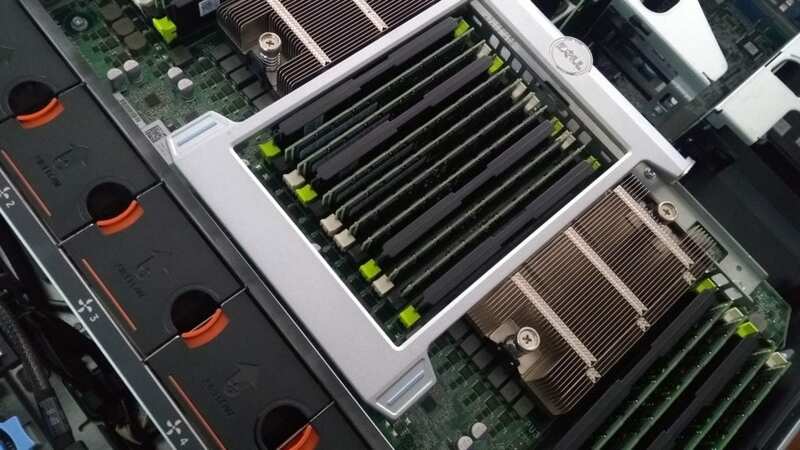 Redundant Array of Independent Disks (RAID) is next-level storage technology. It takes the single drive in your server and replaces it with a minimum of 2-4 disks depending on the RAID level you choose to install. RAID offers performance, scalability and backup in one system. The type of RAID you choose determines the advantages you get from your system, so you should decide what you need from a RAID system before you install one. It also determines the type of recovery you’ll need should one of your drives crash. Here is a list of common RAID types and their advantages. RAID 0 takes your data and writes it across multiple drives, which is called striping. Ideally, each drive is on its own controller. The advantage is that you get high performance write transactions for your system. The downside is that if one drive crashes, all of your data is lost unless you recover from a backup solution. RAID 0 is great if you have backups of your data and don’t worry about data loss. It shouldn’t be used for any mission-critical systems in case of failure. RAID 1 incorporates mirroring. Mirroring means for every transaction written to the hard drive, a second copy of it is written to another hard drive. The advantage is that you have a complete copy of all data. The disadvantage is that data must be written twice, which takes longer. This means that performance suffers. You wouldn’t use RAID 1 in a system that relies on performance. The other disadvantage is that your total storage capacity cut in half. If you have a 2TB drive, your actual storage capacity is 1TB. When one drive fails, your mirrored drive can take over. Just remember to replace the failed drive quickly, because if the second one fails, your data is lost. RAID 5 combines the striping from RAID 0 with parity. Parity provides the drives with the ability to rebuild your data should one drive fail. With RAID 0 and 1, you run into an emergency situation when a drive crashes. Even with mirroring, you need to replace the crashed disk or you could lose all data should that disk crash. With RAID 5, data is spread across multiple drives as well as parity data. This means that when one drive fails, you install a replacement and your data is rebuilt. It can take some time to rebuild data, but its a much better choice than losing it altogether. You need three disks for RAID 5. Just like RAID 5, parity is written to disks to recover data should one disk fail. The difference between these two RAID levels is that RAID 5 uses one disk for parity and RAID 6 uses two. This is beneficial in case more than one disk fails in your array. You need a minimum of four disks to use RAID 6. You can create a hybrid array that uses both RAID 1 and RAID 0 solutions. It gives you the benefits of speed and redundancy. Just remember that half of your storage must be used for mirroring, so you still get the disadvantage of needing double the storage capacity. Because of the wasted disk space, most administrators choose to go with RAID 5 or 6 instead. This is a list of common RAID systems. You can find RAID 2, 3 and 7 but they aren’t as common or popular administrators. If you plan to use RAID, you should place drives on different controllers for ultimate security. Remember that even with multiple drives, if your controller crashes and all drives are on it, your storage is lost.